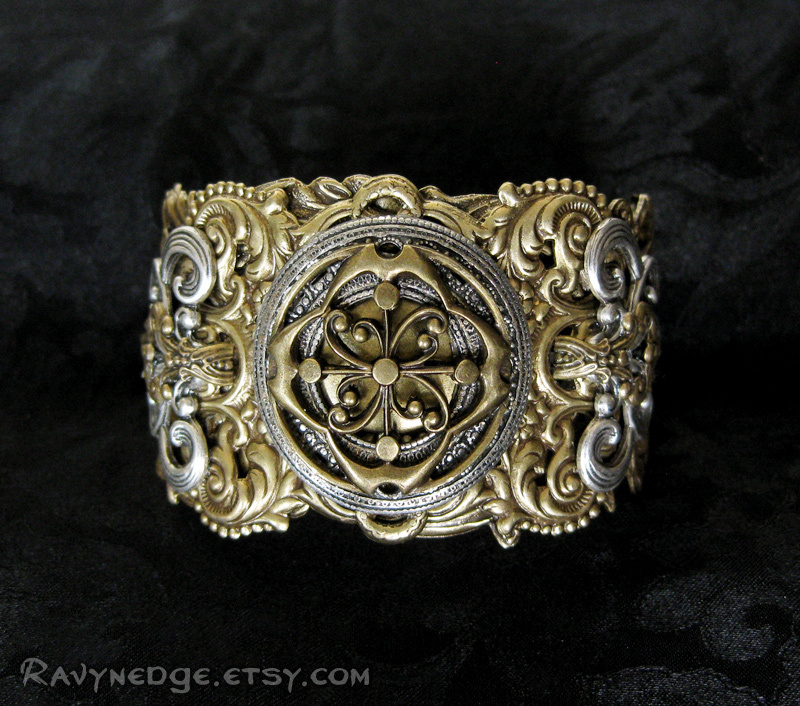 Blossoms in the Aether Cuff Bracelet - Mixed Metal Steampunk Bracelet by RavynEdge. 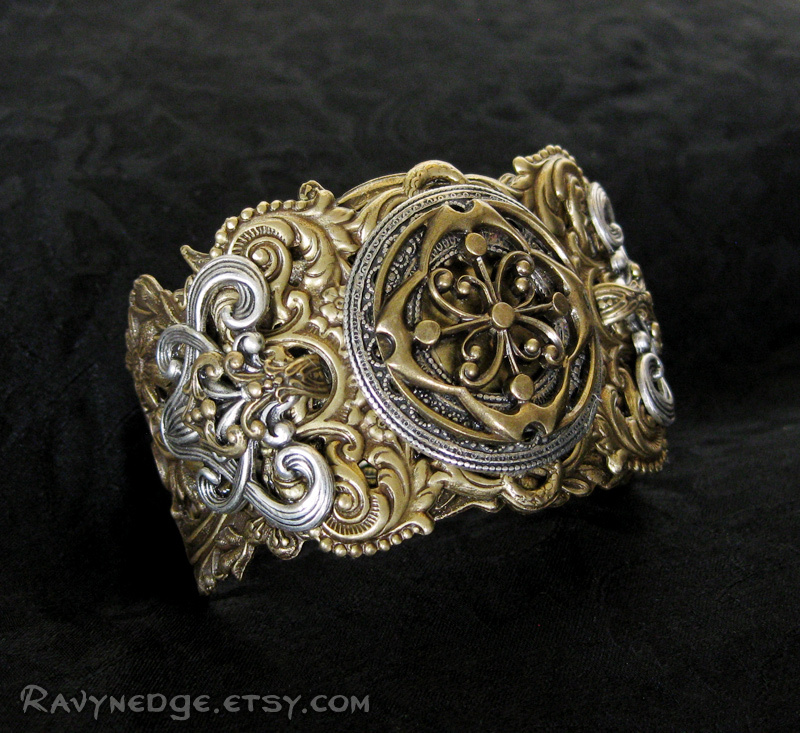 "Blossoms in the Aether" as a cuff bracelet. Layers upon layers of sterling silver plated brass alternating with oxidized brass form ornate scroll work around a "sparrow's compass" that will help you find your way through the aether. 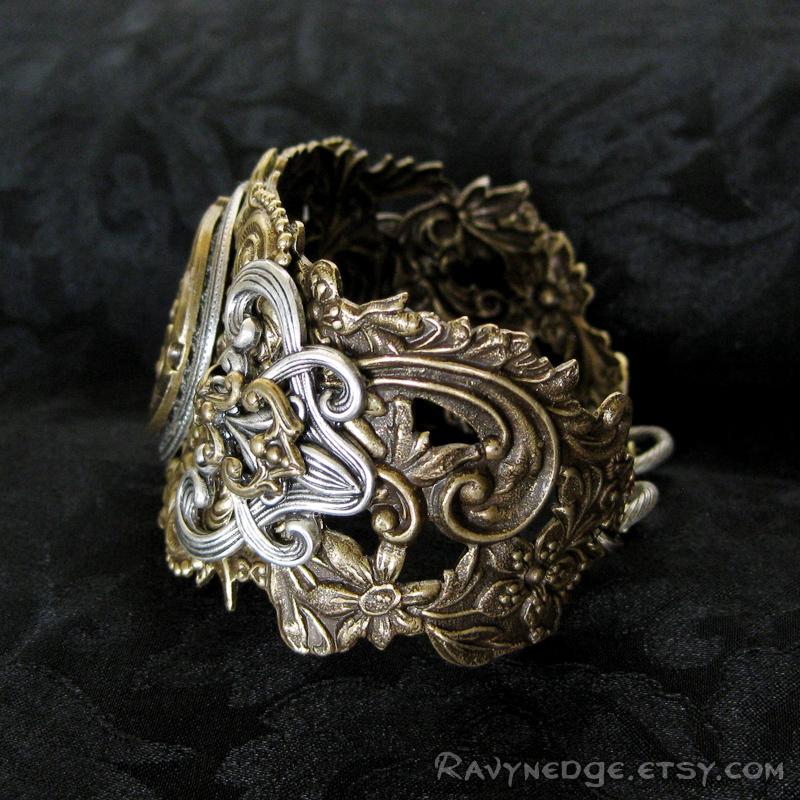 An intricate piece of brass filigree makes the cuff base of this stunning bracelet. The vintage style fold over clasps are for easy one-handed closure and can fasten to any large link on the decorative wrist chains. 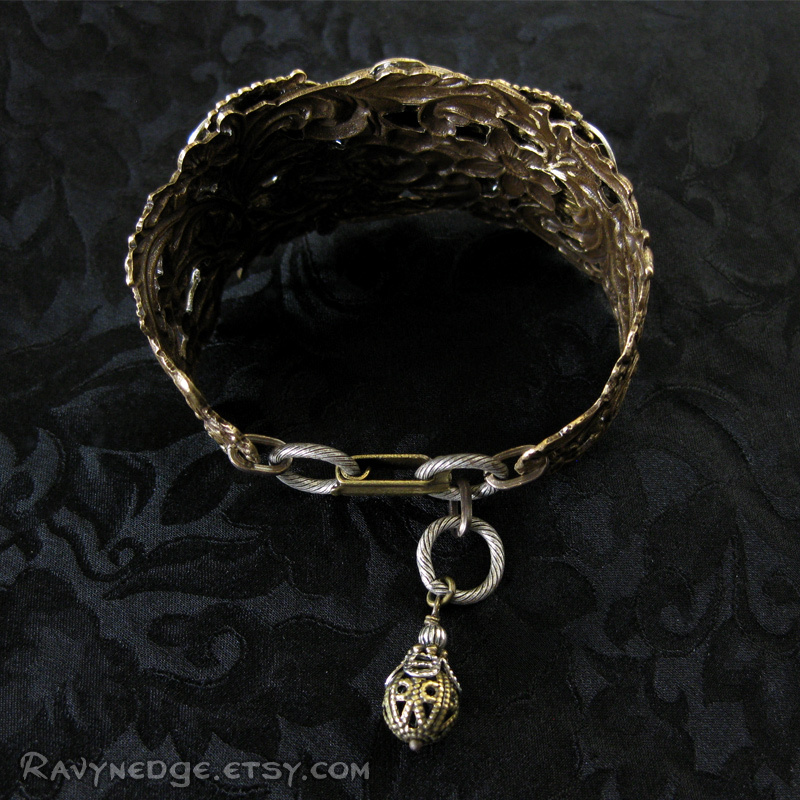 This bracelet was sized for a 14cm wrist with an extra link for adjustment.